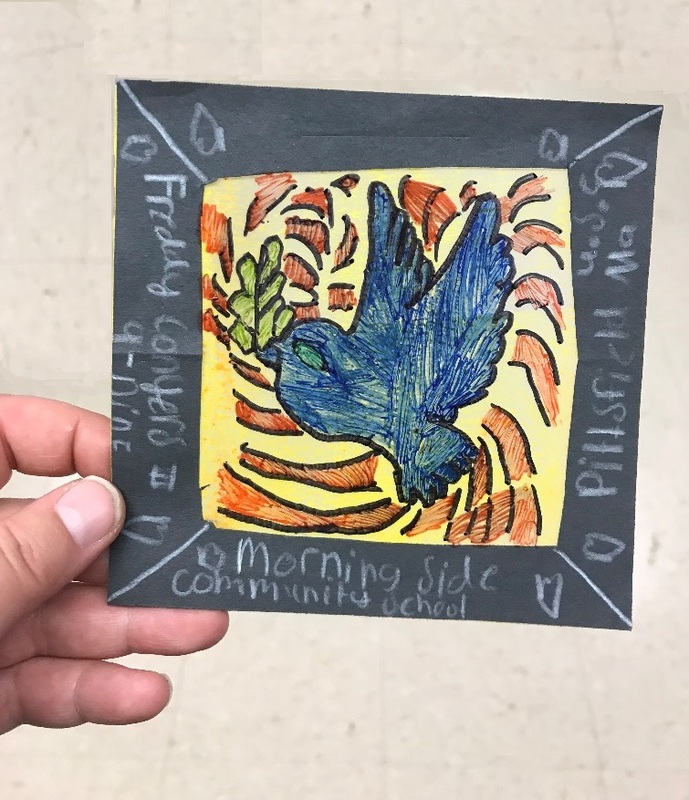 An exhibit of Berkshire County K-5 artists about "PEACE"
IS183 Art School of the Berkshires proudly presents -- I Colori Per La Pace: An exhibit of over 500 Berkshire County K-5th grade artists about "PEACE”. This exhibition will be on display at The Berkshire Athenaeum from February 15 to March 3, 2018. Following the show, artwork will be sent to Italy to be displayed in the largest exhibition of child art in the world, organized by the association ‘I Colori Per La Pace'. The soul of peace is the pure love of children. Healthy, genuine feelings that open the heart to hope for a better future. Little ones, with their spontaneity and colorful sense of sharing, express the universal message of brotherhood through drawings. This is how the international project "I Colori per la Pace" was born, which involves thousands of children between the ages of 4 and 10 on all five continents. An extraordinary initiative commissioned by the association of the same name, chaired by Antonio Giannelli began three years ago in Stazzema (Lucca) to remember the massacre of August 12th, 1944 --when in nearby Sant'Anna 560 people were killed by the German army. Thousands of drawings have been collected from 93 nations around the world contain a significant ideal of unity among people and represent a fruitful cultural exchange between the young generations. Universally, throughout the project, many organizations, consulates, and people from have played an integral role. The meticulous work of cataloging was made possible thanks to the precious collaboration of the Pontifical Institute for Foreign Missions and of many associations operating in particularly difficult and difficult areas. “It is nice to observe how children thousands of kilometers away and who live in different environments and conditions are essentially draw the same things”, points out Antonio Giannelli. "This is the clear demonstration that man is born pure and only in growing nurtures negative feelings". The exhibition has a majestic location at the Berkshires Athenaeum in Pittsfield, Ma. The works, however, will also be exhibited in other municipalities in the future!